Heat oil in a pan and fry the peanuts and green chillies till it turns golden brown. Next add garlic and chopped capsicum .Saute till the capsicum become soft and tender.Let the mixture gets cool down. 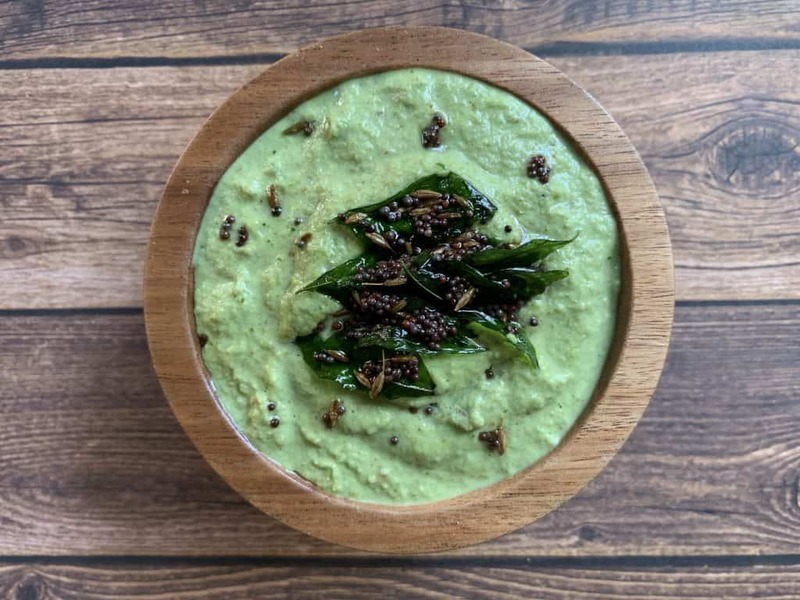 After cooling add the mixture into a blender, to this add the chopped coriander leaves, tamarind ,salt and water.Blend it to a smooth or coarse paste based on preference. 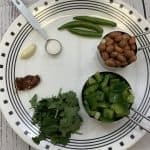 Tranfer it to a bowl.Now for tempering heat a pan with half a tsp of oil ,add mustard seeds,cumin, hing and curry leaves and add it to the chutney.Mix it well. 1.You can also add 1 tablespoon of seseme seeds this chutney.makes it more healthy. 2.This chutney will not spoil atleast 2-3 when kept in refrigerator. 1. 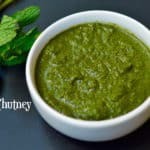 Lemon juice can be added before or after blending it helps to restore green color of the chutney. 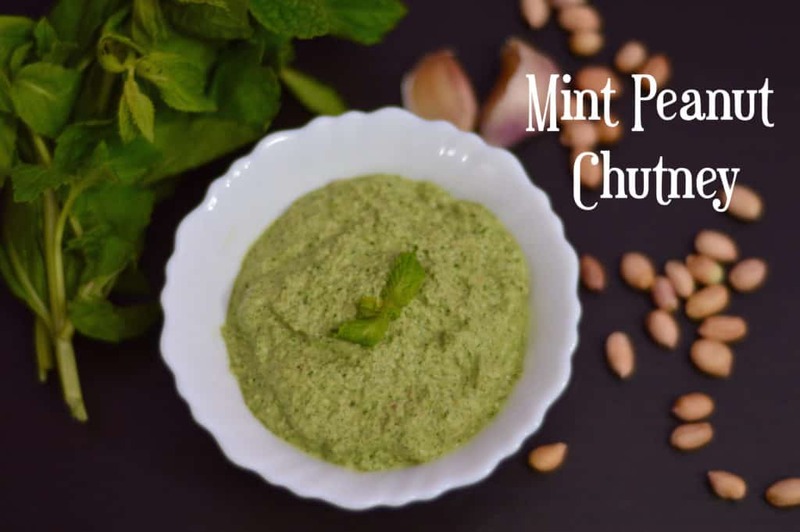 The combination of nutty flavor of the roasted peanuts with the flavored mint and coriander leaves makes this chutney a rich, easy and spicy relish. Roast peanuts in a pan on a medium flame till it becomes golden brown .Remove and let it cool down. In a pan,add oil,onion/shallots,green chilli,garlic and saute well till onions turn brown. Roughly takes 2-3 minutes. Then add Mint,coriander leaves,tamarind saute for 1 minute(till mint leaves shrinks) and turn off the heat.Cool completely. 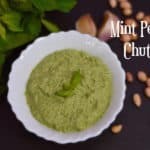 In a blender jar add roasted peanuts,mint mixture,salt,water and blend to a course or smooth paste as per your preference. 2. You can store this chutney refrigerated about 5-6 days, or freeze up to 6 months. 3. You can replace tamarind with one raw/green tomato. 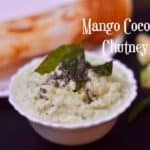 Raw Mango Chutney|Mavinakayi Chutney The Sweet and Spicy Raw Mango Chutney Recipe is a quick and simple recipe using raw mangoes. In a blender grind all the ingredients mentioned and add some water to make a smooth paste. In a kadai, heat the oil over a medium flame. Stir in the mustard seeds and when they splatter,add curry leaves. 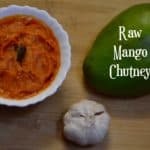 Now,add raw mangoes paste ,cook over a medium flame for about 5 to 6 minutes, stirring in between to prevent the blackening and the sticking of mango mixture to the vessel. Cool and serve as desired. 1.Can be stored for 2 weeks in the refrigerator. In a kadai, heat the oil over a medium flame. Stir in the mustard seeds and when they splatter,add hing & curry leaves.